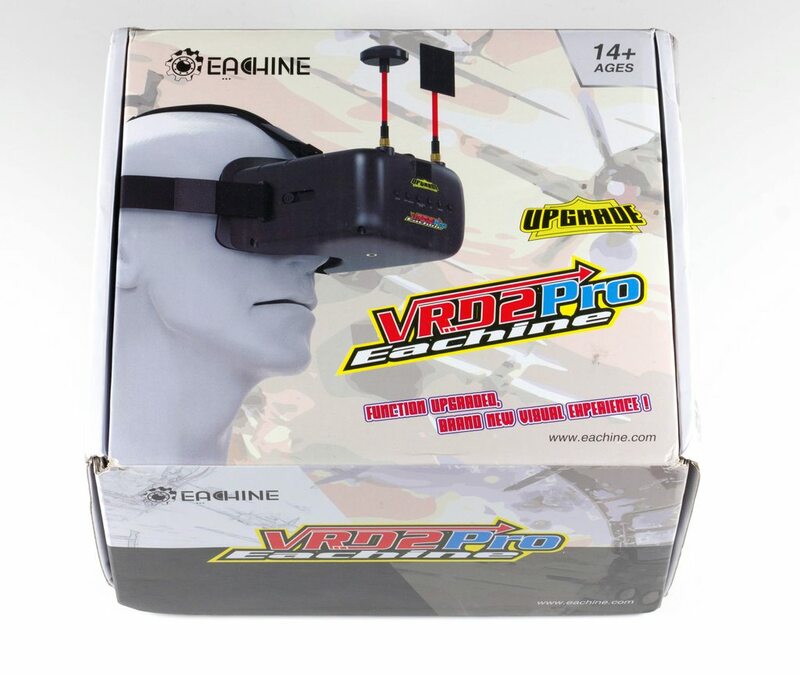 Eachine VR D2 Pro Goggles available here. 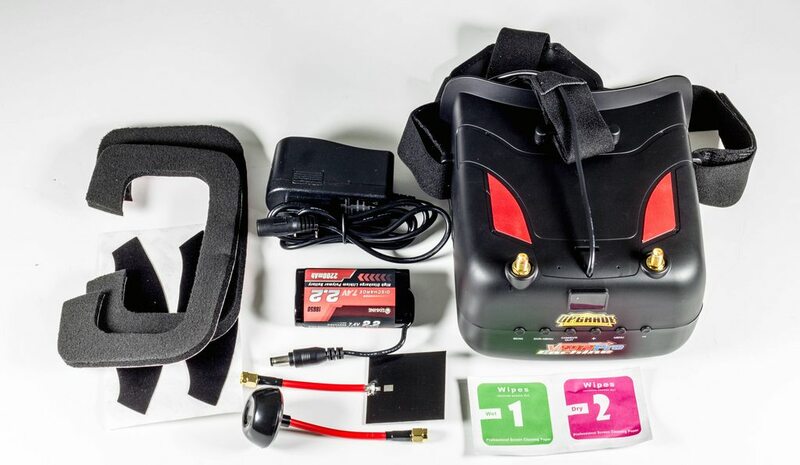 I was contacted via Banggood to review some of the products on their site, and felt it was good opportunity to get some googles that have come by a lot of people and are now recommended as one of the introductory "go-to" pairs of goggles - they're a hybrid between Fatshark's and the original Quanum box goggles we were seeing around a year ago. A week or so later and they had arrived! 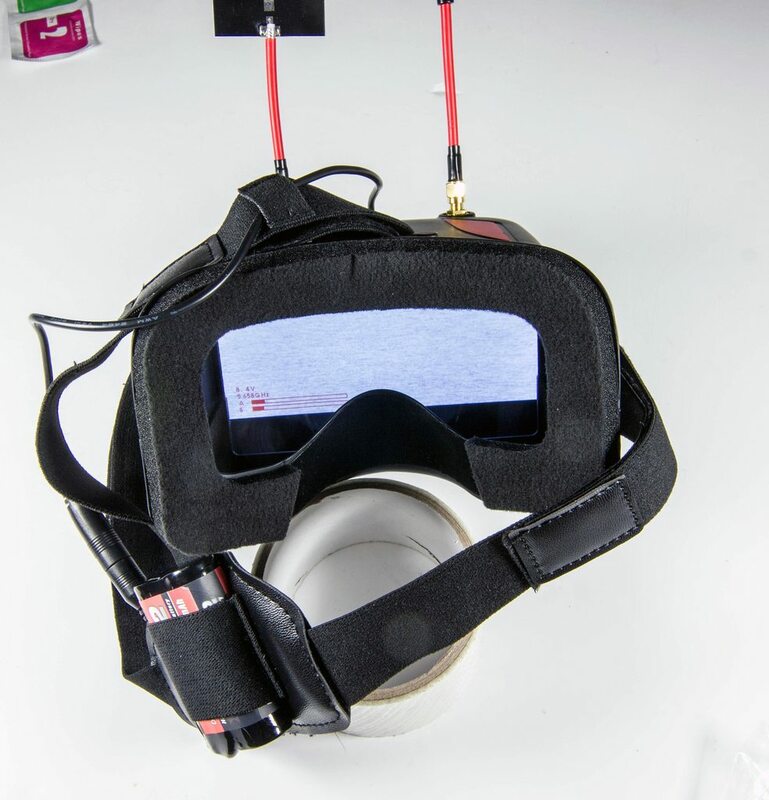 The D2 Pro's are an upgrade of the original goggles which feature a more sensitive diversity switching receiver, as well as Auto search to search for the frequency that is in use at the current time, as well as power indication on the screens themselves. 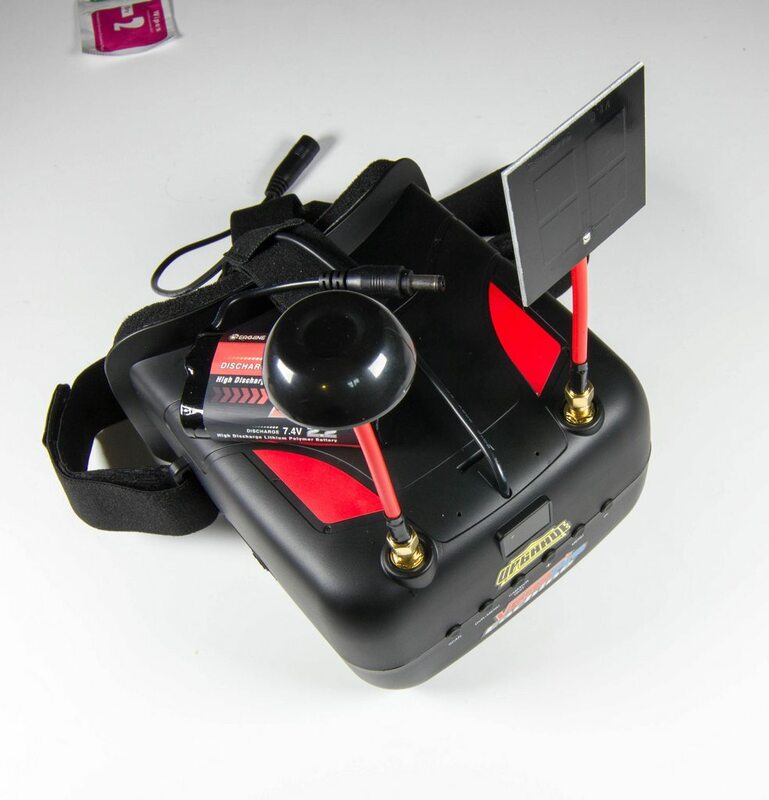 There's a few things worth pointing off from the get-go - first off the 7.4V 2200mAh battery we see is a pair of 18650 Li-Ion cells - the perfect candidate for a lipo battery which will not suffer any puffing or drain issues that we usually see in Lipos such as the Fatshark goggle packs - these are known for puffing up and becoming bricks after only a few months of use - I'd expect these to be perfect for the job, though I would personally recommend charging via your normal charger if you have that capability so you can determine what amperage you want to charge at which should prolong the life of it. 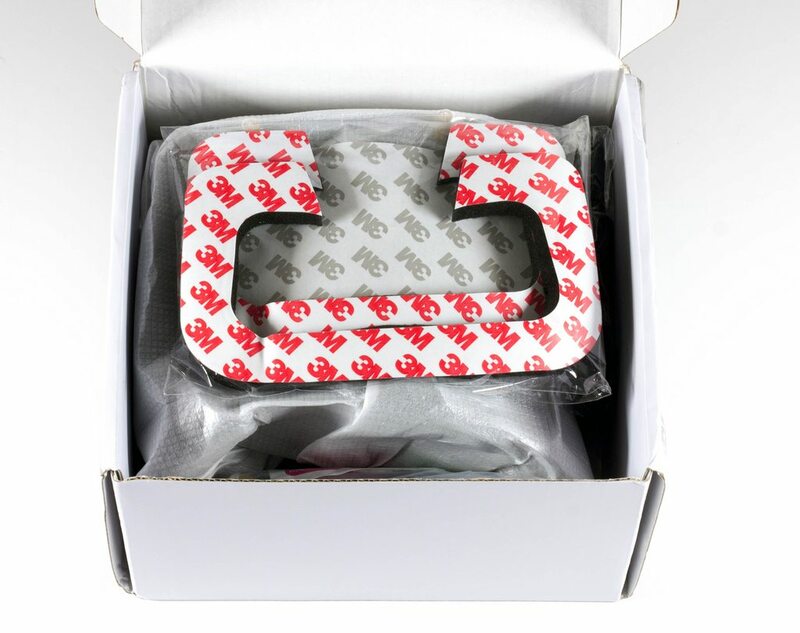 We have a great box that serves well at protecting your goggles with some very vivid text on it! Inside more packaging and a light manual to guide you through how they all work. Below that we have the rest of the items - you'll notice 2 sets of foam are included - one thing and 1 thick piece - this comes down to personal preference and how the goggles sit on your face so I highly recommend trying both pieces before sticking any onto the goggles. I found personally the thicker foam was better, as it can also mould to your face as you wear them more, without any part of your face digging into the plastic. 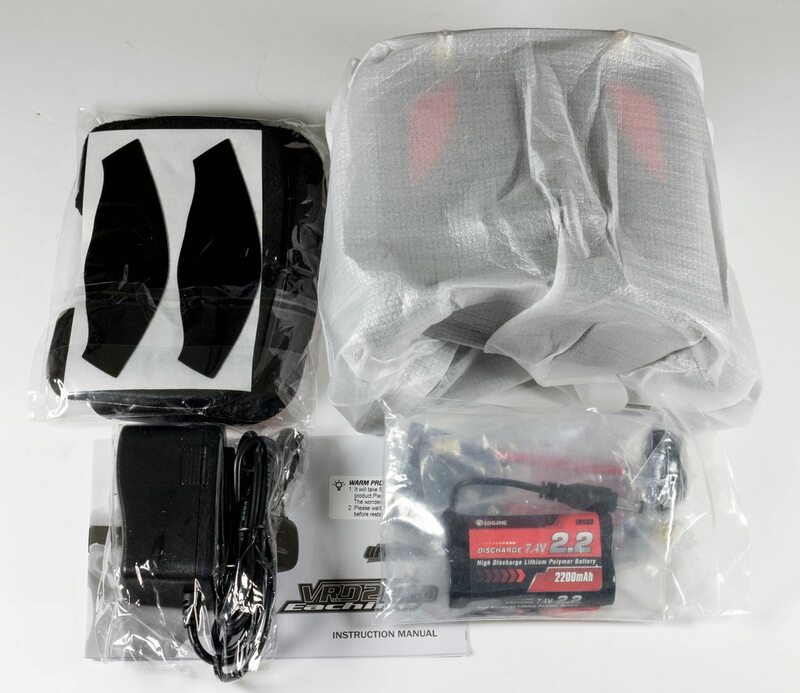 With everything out of the box we can see there's alot of accessories, but to no surprise everything we expected in the packaging :) for the untrained eye you'll notice that the goggle pack uses the same connector that the Fatshark goggles use, so if you happen to have both, or need to power one or the other this battery will cover both sets without issue. We had another British Championship Qualifying Event at Popham Airfield the day after one of the Kwad Club League races, so it seemed like a perfect opportunity to test the goggles here - there's a very big mix of pure open (direct line of sight) video reception, as well as some questionable areas through the wooded areas in the left hand side. As above you can see the DVR actually copes very well even with the foliage situated on the left hand side of the track. It was not perfect and did go to white noise a few times, but I was also situated behind the pilots staging area as to not disturb the competitors currently racing. But from a receiver perspective the diversity works great here. Outside of the foliage there is basically no interference and it looks like the switching of the 2 antennas is tuned very well. The DVR itself is a little clunky to use, and once it starts recording you must remember to exit the DVR menu, otherwise the video you see on the screen is a delayed and laggy feed of the DVR itself recording. Once you switch back to the normal display feed there is absolutely no lag, and it continues to record as you'd expect. Overall for the money I think this pair of goggles is an absolute bargain - they are more than good enough to get any newcomer into the hobby, and for the most part be a set of permanent goggles for the freestyler or racer that already has a pair. I still prefer my Fatsharks, but that's purely on preferring 2 screens over 1 and them not fitting my face as well, but the features you get for the money really cannot be beaten. Clunky menu system for adjusting the picture or recording DVR. 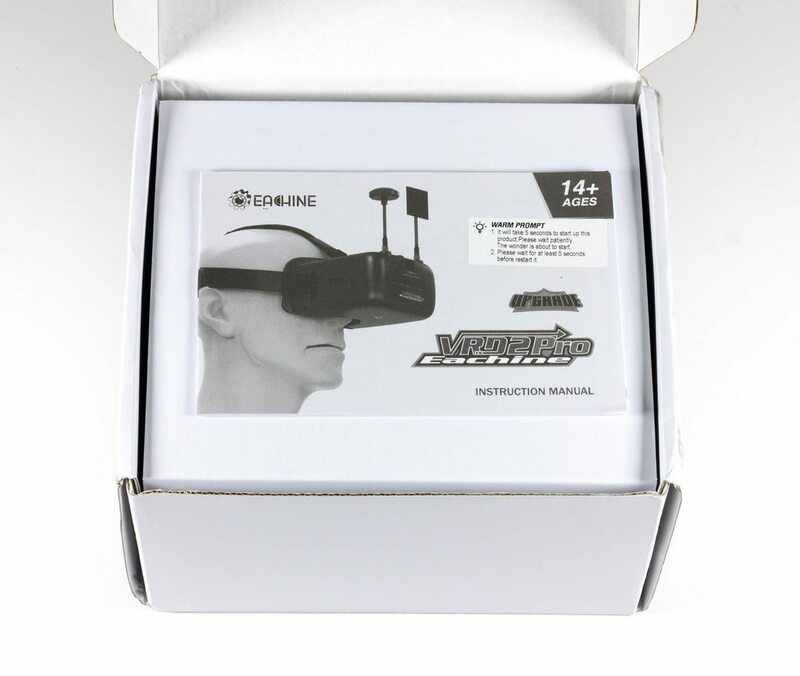 As soon as I started the review there was wind that Eachine were bringing out their own "Fatshark/Skyzone" rivalling goggles - the EV100 found here - I haven't seen really anything about these goggles, but these maybe a great alternative for someone not looking to compromise on the shape or lack of 2 screens that wants Fatsharks but doesn't feel ready to take the high costs to invest in them, or is too early into the world of drones to know if they will commit much time to the hobby. With all of this in mind, I think the goggles are still right now the best choice for someone coming into the sport, but you really cannot go wrong with either set. 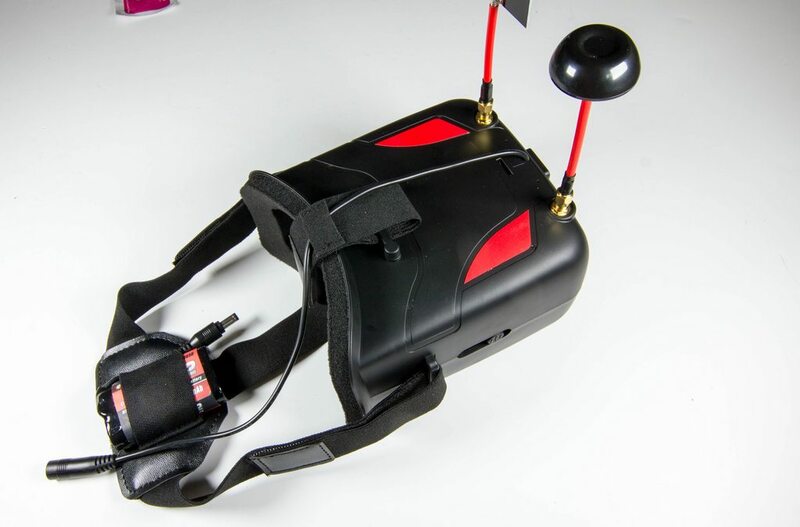 Eachine have improved on their original VR D2 hugely!